FNTSY Sports Network’s Pat Mayo and Geoff Fienberg recap the 2016 US Open and debate their Quicken Loans National picks and the week in betting at this week’s PGA Tour stop at Congressional CC. Tiger’s tournament used to get better treatment, you know? With the Olympics screwing around with the 2016 schedule, the Quicken Loans National is just another victim on, what’s becoming, a fairly long list. Not only do tournament organizers have to deal with an unusual post-Major slot to keep the top end players away, there’s now another Major three weeks from now… in Scotland. This moronic Olympics event has turned one of the best tournaments of the season, at a US Open site, into a low rent Zurich Classic. Rickie Fowler and Patrick Reed are the class of the field, and the only Top 25 players entered. Byeong-Hun An, Justin Thomas, Charley Hoffman, Bill Haas, Marc Leishman and Kevin Chappell represent the next tier of talent, meaning, this could be a record low in ticket sales. US Open low amateur (and world’s top ranked Am) Jon Rahm is giving up the free-golf life and turning pro for the Quicken Loans National. Web.com Tour money leader Wesley Bryan, fresh off a T9 in Nashville last week, makes his second career PGA start. Last year’s low-Am at The Open Championship, Jordan Niebrugge, is making the trek to the DC area too, while Bryson DeChambeau received an invite as he continues his quest towards earning enough money to clinch his TOUR card. A bit of info for your course history heads. When starting your research, immediately toss out anything last year reveals. Troy Merritt won. That’s great. Actually, it really wasn’t. However he accomplished that feat at Robert Trent Jones GC; not exactly relevant to Congressional CC. The then AT&T National was held at Aronimink GC in 2010 and 2011. So throw out into from those years. Oh, and there was a complete renovation of the greens in 2009 as well. They condensed the area of the putting surfaces and changed the grass type from poa annua to bentgrass. That leaves 2014, 2013, 2012 and the 2011 US Open as relevant sources to draw from. And really, the 2011 US Open set up and wet conditions won’t resemble what the players will be facing this week. Congressional is hard; long and hard. It could totally have a second career as one of those fake casting couch guys. Just a Par 71, it still measures a gargantuan 7,569 yards, with seven Par 4s playing longer than 450 yards. Mix in 99 bunkers, five water hazards and you have one of golf’s toughest non-Major tests. While distance is necessary with so many holes demanding driver off the tee, it’s Strokes Gained: Approach that will save the field shots over four rounds. With some of the tiniest greens on TOUR, the margin for error coming into the green is miniscule. With the amount of bogeys that are sure to be made, players must score on the occasional non-Par 5 to end up near the top leaderboard. Rickie Fowler – Rickie’s missed three straight cuts entering play, and likely has his mind already focused forward to The Open, but A) He’s the class of this field and B) as we’ll see, there are very few alternatives in the Yahoo! A-List this week. Gary Woodland – Case in point. Basically, it’s an choice between Woodland, Chris Kirk, and Keegan Bradley. Woodland is certainly boom or bust, as anyone who posted him at St Jude can attest, but he mashes it off the tee (4th Driving Distance), scores on Par 5s (3rd), and sits 19th in SG: App. He can make a charge. Patrick Reed – The other Top 25 player in the field has never missed a Congressional cut in two tries (T11/T34). Reed isn’t the best at gaining strokes on his approaches (82nd), but actually is the best at working his magic around the greens if he does miss the putting surface: 1st SG: ATG/4th Scrambling. Kevin Chappell – His hot streak came to an abrupt end a few weeks back, but Congressional appears to fit what he does best. Chappie’s 10th in SG: T2G and a more impressive 7th in SG: APP. His awful putter will always be problematic, but Chappell’s proven he can overcome missteps on the greens to compete, especially against a weak field. Ryan Palmer – Palmer’s played the weekend in DC in his last five tries, with three T25s. He’s definitely got the distance (12th) and crushes the Par 5s (2nd P5 Scoring; 11th P5 Birdies or Better), but like Chappell, the flat stick usually creates a vortex around the winner’s circle. That’s fine, though. 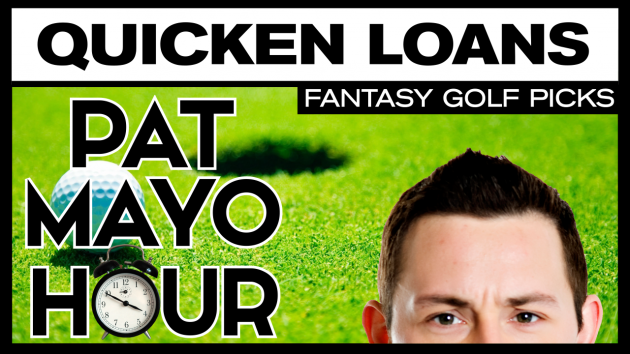 Not everyone can win, and placing is good enough in Fantasy Golf. Jim Furyk – Pure gut pick. I unwisely avoided Furyk at Oakmont due to concerns over rust following his wrist injury. Having earning a silver medal at the year’s second Major, I’m guessing he’s fine. He’s not a skills fit for the layout, however his approach game is elite enough to make up for a lack of distance off the tee. Jamie Lovemark – Lovemark keeps playing the weekend but missing a big finish, outside of a playoff loss in New Orleans. And, it’s usually one bad round that proves to be his undoing. Still, the world’s No. 87 player rates highly SG: OTT (12th), SG: ARG (21st), Birdie Average (25th), Driving Distance (10th), Scrambling (7th), P5 Birdies for Better (25th), and efficiency scoring from the key P4 range (7th; 1st in the field). All the elements of a win are there, Lovemark just needs everything to click at the same time. It hasn’t happened yet, but a win looms. Anirban Lahiri – Byeong-Hun An and Marc Leishman also make quality choices in this spot, but Lahiri is the most intriguing. He’d reeled off six straight cuts before failing to play the weekend at Oakmont, and while there’s no one part of his game that stands out as elite, he finds a way to make birdies on Par 4s. For the year, Lahiri is 9th in overall P4 Birdies or Better and 13th on P4s from 450-500 yards.